Jon Sprunk delivers blood, betrayal, and “sword and sorcery action of a high order” in the thrilling conclusion to his epic fantasy adventure trilogy (SF Signal). In the far wastes of the Northern Marches, the assassin Caim lies in wait. 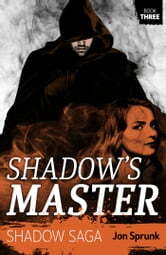 Though he and his allies have defeated the monstrous witch Sybelle, there is a greater threat looming ahead… The Master--a being of nightmarish power who rules the Shadows and holds the answers that Caim has been searching for all his life. But before he can meet his greatest enemy, Caim must face an assassin whose skills and strength eerily match his own. Meanwhile, Empress Josey and the land of Nimea have fallen prey to an unforeseen attack by a barbarian army.